The message from John Bolton’s denunciations of the ICC is that the US will not be subject to legal accountability for its violations international law. The hallmark of this pre-Trump neocon law bastion of Scalia worshippers was their role in the career nurturing of such jurisprudential embarrassments as John Yoo and Jack Goldsmith—Yoo the notorious author of the torture memos and Goldsmith the public servant usually given credit for crafting an expert approval text validating ‘extreme rendition’ of CIA suspects to notorious ‘black sites,’ known around the world as safe havens for torture, surely a crude instance of ex parte criminal legalism. It should be noted that both of these individuals are senior faculty members at two of America’s finest law schools, UC Berkeley and Harvard, both of which exhibit institutional pride in the fact of treating legal ethics as integral part of professional education. At the talk, Bolton paused to boast of orchestrating this unusual move to highlight and underscore this repudiation of the ICC by the Bush presidency, and in the process, of the crusading success of a transnational civil society movement and a coalition of moderate governments around the world to institutionalize individual accountability of political leaders and military commanders for war crimes and crimes against humanity. It should be humiliating that such a global undertaking to strengthen international criminal law enforcement is regarded as posing a direct threat to Americans and governmental policy. It puts a preemptive twist on the previous reliance on “victors’ justice” to ensure that none of the Allied crimes during World War II would be subjected to legal scrutiny while the crimes of German and Japanese political leaders and military commanders were being prosecuted. Actually, even if Bush had not bothered to have the Clinton signature removed, the U.S. would never in this dark period of anti-internationalism have joined the ICC. To become a party to the treaty would have needed the additional step of ratification of the Rome Statute, and that would require an affirmative vote of two-thirds of the U.S. Senate. A favorable outcome would have been even more unlikely than for Donald Trump to nominate Anita Hill or Robert Mueller as his next choices for the U.S. Supreme Court. In this sense, only the up tempo language of Bolton is notable for its willingness to denigrate and even smear the ICC. Slick Willy Clinton had his own reservations about the treaty and never took the normal step following an official signature of a negotiated inter-governmental agreement of submitting it for ratification. Indeed, it is a technical violation of customary international law that imposes a good faith obligation on governments to seek formal adherence of signed treaties in accordance with constitutional procedures of the particular state. In other words, even the supposedly liberal side of American political life has opted out of its earlier tradition of supporting the institutional development of the Rule of Law on a global level as an aspect of its commitment to the role of law and institutions as essential ingredients of a peaceful and just world order. Congress removed any doubt as to its hostility toward the ICC when in 2002 it passed the American Service-Members’ Protection Act, authorizing the President to use all necessary means, even force, to prevent prosecution at The Hague of Americans accused of war crimes or crimes against humanity. When Bolton alluded to this bit of ultra-nationalism, he appropriately noted that the legislation enjoyed bipartisan support, which suggests that the American posture of claiming ‘lawless geopolitics’ for itself is a fixed feature of world order for the seeable future no matter who occupies the Oval Office. It is ironic that while criminality is ensured of impunity, the practice of impunity, a dubious encroachment on the logic of legality, is not only claimed but offered that most unusual feature of international enforcement. We can only meekly ask: Are the supposedly soft menof history, such as Trump or G.W. Bush, any less undeterred? And why should we ever expect these hard men to be deterred if the ICC and international law are but ‘fantasies.’? These are predictable sentiments, given the occasion and taking into account Bolton’s long advocacy of a militarist foreign policy that disregards the restraints of law, morality, and political prudence. It is the ethics and politics of this disregard that is Bolton’s real message. We should be attentive to this real message hidden within the fiery ‘sovereignty first’ verbiage, which is that the geopolitical practices of the United States will not be subject to legal accountability no matter how flagrant the violation of fundamental norms might be in the future. 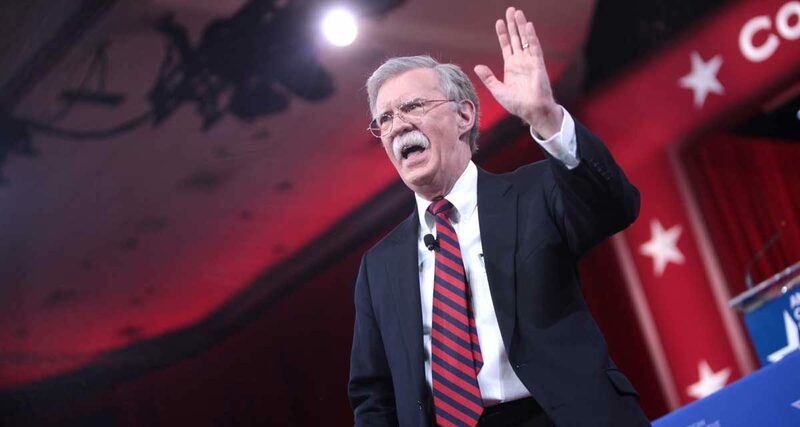 Bolton may overstep the bounds of the liberal order when he attacks the ICC as an institution, which had not been previously treated as a threat to American foreign policy. 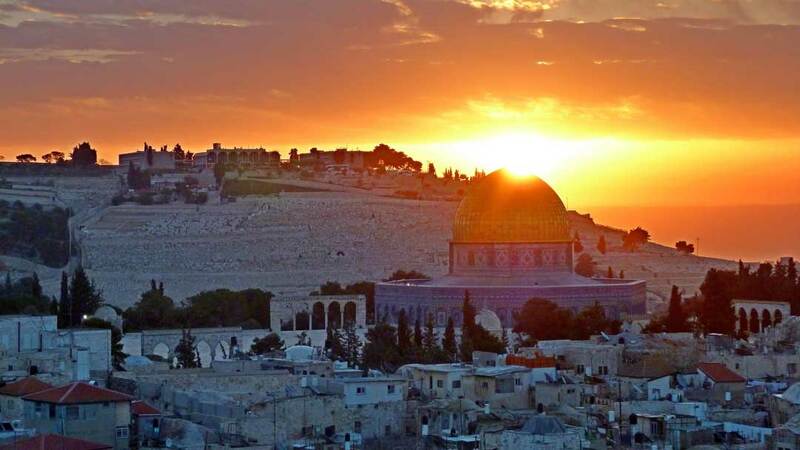 Only recently did it dawn on Washington policymakers that the ICC might at some point actually challenge what the U.S. and its allies, most notably Israel, are doing in the world. Previously, the U.S. was a supporter of criminal accountability of foreign leaders, especially if they were adversaries of the U.S. It should be remembered that even during the Bush presidency, the government sent dozens of government lawyers to Iraq to help prepare a war crimes prosecution of Saddam Hussein and his entourage after their capture. This capture occurred in the course of a war of aggression initiated against Iraq in 2003 without any prior provocation. 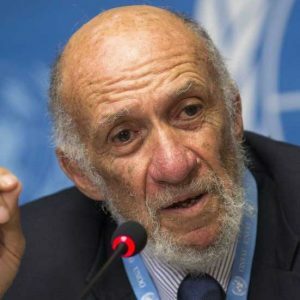 The U.S. attack, regime change, and long intrusive occupation took place, it should be recalled, despite the failure of the U.S. Government to secure the support of the UN Security Council despite a feverish attempt to gain authorization. In other words, so far as even the Boltons of this world are concerned, there is nothing wrong with criminal accountability of leaders and military personnel so long as the indictments, prosecutions, and punishments are confined to enemies of the United States. Such a self-serving geopolitical appropriation of international criminal law should not be confused with legitimate law, which presupposes that the rules, norms, and procedures apply to all relevant actors, the strong as well as the weak, the victors as well as the defeated, geopolitical wrongdoers as well their adversaries. What is sad about the Bolton worldview, and indeed the new sovereignty ideologues that shape the public image of the Federalist Society, aside from its influence in the Trump Era, is that it completely misunderstands the relevance of international law in this period of global interdependence and planetary challenge. State-centric world order as beset by geopolitical rivalries is a blueprint for civilizational collapse in the 21st Century, and probably represents the worst possible way to uphold core sovereign rights and national interests over time. As many have noted Hilary Clinton’s push toward a confrontation with Russia was more in keeping with Bolton’s preferred foreign policy than the more accommodationist proposals of Trump during his presidential campaign. It is against such a background that I reach the lamentable conclusion that when it comes world peace and global justice, the Democratic Party establishment has little to offer when it comes to foreign policy, and may be more inclined to initiate wars and raise geopolitical tensions than even their reactionary and militarist Republican rivals. Bernie Sanders, although international affairs is not his strong suit, at least gestured toward a less militarist and dysfunctional foreign policy. For the Democratic Party to generate enthusiasm upon American youth and the deeply discontented in the country it must reinvent itself by embracing progressive and forthcoming policies than in the recent past and positions that are more constructive and programmatic than even the Sanders foreign policy. Without such bold moves there will be a loud sigh of relief when Trump loses control of Congress in November, and even louder one when Trump leaves the White House, but the American ship of state will still resemble the maiden voyage of the Titantic. As if to confirm the analysis above we should take account of Bolton past warmongering toward North Korea including advocating a preemptive strike, and recently articulating grossly unlawful threats of force directed at Iran. It should be appreciated that contemporary international law, as embodied in Article 2(4) of the UN Charter forbids threats as well as uses of aggressive force. This article was originally published at RichardFalk.WordPress.com on September 26, 2018.